Oakland A’s slugger Khris Davis led the majors in home runs in 2018 with 48 (for his third straight season with at least 42 homers), and may hit over 50 dingers at the rate he’s blasting the ball so far in 2019. Davis crushed a go-ahead homer to break a 6-6 tie in the eighth inning of Oakland’s 8-6 win over the Texas Rangers on Friday night. That’s homer no. 10 for Davis in just 17 games played. And 10 homers in Oakland’s 18 games this season is a franchise record. Davis’ 10 homers lead the majors, with the Los Angeles Dodgers’ Cody Bellinger ranking second with eight homers. But even with Davis’ tremendous tater-mashing skills, the most interesting part of his statistics is in the batting average department, only because of truly unbelievable consistency there. Davis somehow has batted exactly .247 in four consecutive seasons (and has a career batting average of .248). It’s weirdly amazing. Right now, he’s at a .265 batting average, but we should trust his track record to get that down to .247 over the full season. Oh, and he’s now batted exactly .247 over his last 247 games played. 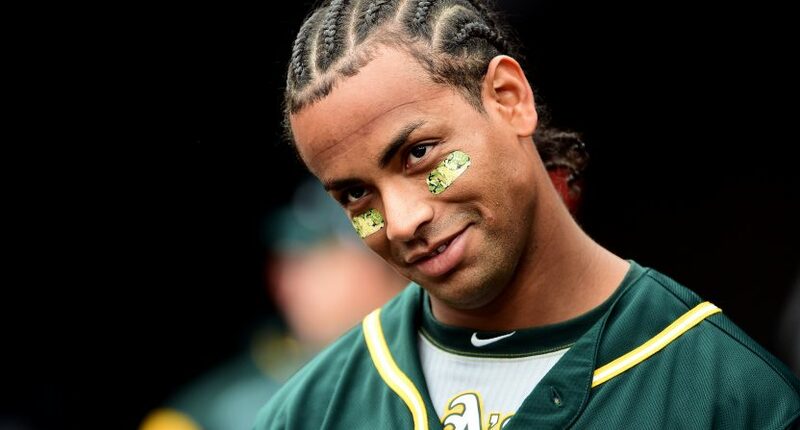 With that, Khris Davis is now batting .247 over his last 247 games played.